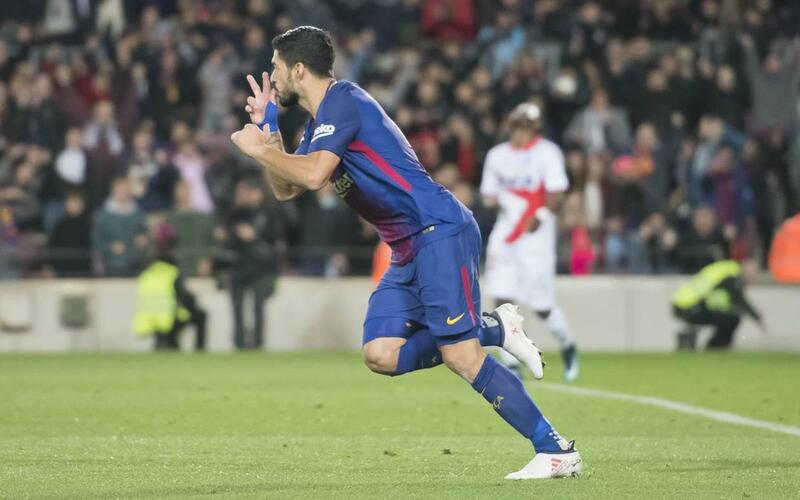 Luis Suárez's goals have become key factors for Barça in recent matches. The Uruguayan scored to make it 1-1 against Alavés in the last League game (2-1), but it’s not the first time that he’s opened the door for his team. The Blaugrana No.9 has, in fact, scored Barça’s opening goal in seven games this season: Atlético Madrid, Leganés, Villarreal, Deportivo, Madrid and Alavés in the League and one in the Cup. Suárez is also enjoying a great personal moment, scoring on eight consecutive Matchdays from Week 13 until Week 21; Valencia, Villarreal, Deportivo, Madrid, Levante, Real Sociedad, Betis and Alavés. It represents a record for the player, who, for the first time in his career, has achieved this goal.